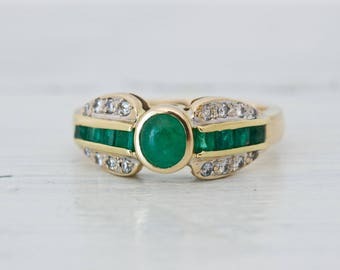 This vintage engagement ring has been set with a beautiful genuine natural emerald by our highly skilled bench jeweler. 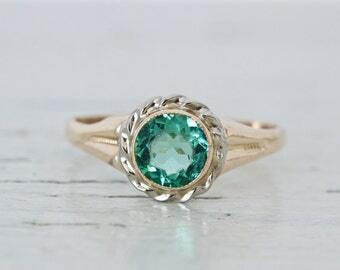 The mounting was saved from a gold scrapper's pile and the emerald has been reclaimed from a vintage cocktail ring that was too worn to be saved, making this a truly one of a kind ring. 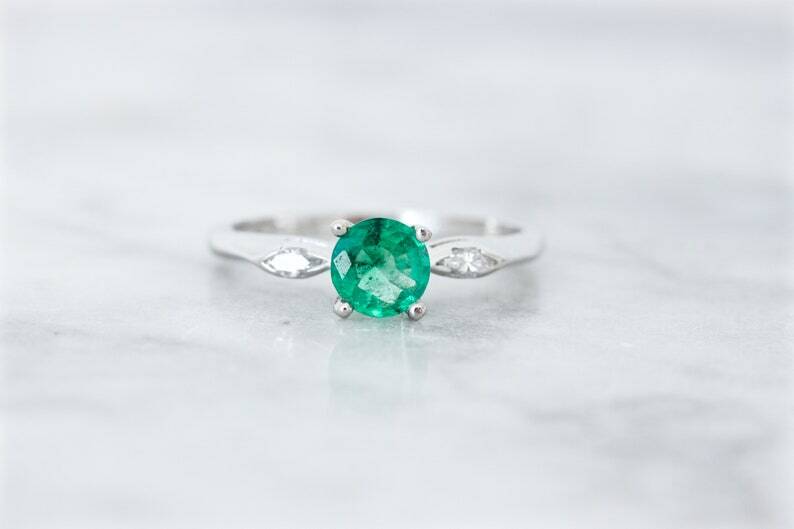 The emerald is flanked by tiny marquise cut diamonds (original to the mounting) in gently tapered shoulders to add just the right bit of sparkle to this elegant piece. 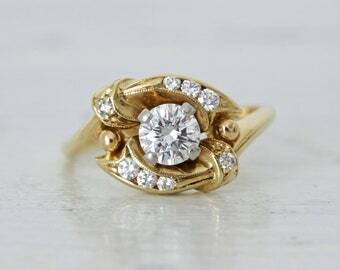 This ring is a truly special choice, especially for someone with a May birthday or special anniversary. 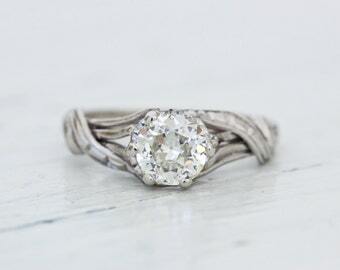 SIZE: Approximately 5.5 mm / 0.65 carats total weight. SIZE: Approximately .07 carats total weight. 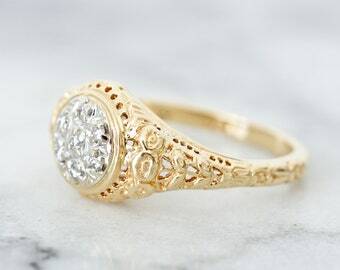 RING SIZE: Approximately a US 6 / AU L 1/2 and sizable at least 1-2 sizes either up or down by a skilled jeweler. 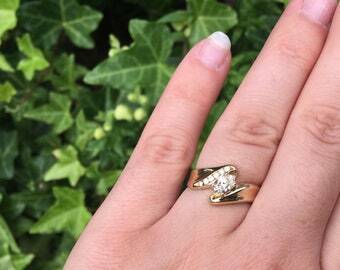 RING MEASUREMENTS: Approximately 5.5 mm N/S by 14.3 mm E/W with a 5.4 mm raise on the hand; 1.4 mm band width.